Nancy Dragonette Morse is an educator with over forty years in teaching at all levels. She has more than fifteen years’ experience as a New Hampshire certified K-12 Teacher of English to Speakers of Other Languages. Nancy was the ESOL Teacher/Coordinator for several public schools in New Hampshire, most recently teaching ELLs in the four Hollis, NH schools. Nancy graduated from Wilson College in Chambersburg, PA with a BA in Psychology and Pennsylvania Teacher Certification as an Elementary Classroom Teacher. She has taught elementary grades and Adult Ed. in Georgia, Michigan and New Hampshire. Nancy facilitates the South Central ESOL Teacher Network and is a member of the Department of Education ELL Advisory Team. She has represented the state at WIDA Standard Setting and Bias and Content Review for the ACCESS Test. She served on the ESOL Praxis Review Team for the Educational Testing Service and served a term as a member of the New Hampshire Professional Standards Board and as a New Hampshire State Representative on the Executive Board of NNETESOL. 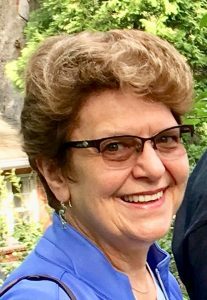 In retirement, Nancy maintains NH Elementary and K-12 ESOL certification and WIDA ACCESS Test Administrator Certification. She administers the ACCESS Test and WIDA Screener for school districts with testing needs.